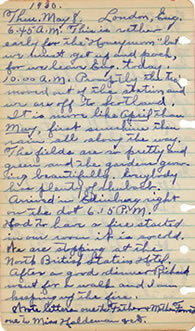 6:45 a. m. This is rather early for the “Honeymoon” but we must get up and pack, for we leave England today. 10:00 a.m. Promptly the train moved out of the station and we are off to Scotland. It is more like April than May, first sunshine then rain all along the way. The fields are so pretty and green and the gardens growing beautifully. Everybody has plenty of rhubarb. Arrived in Edinburgh right on the dot 6:15 p. m. Had to have a fire started in our room it was so cold. 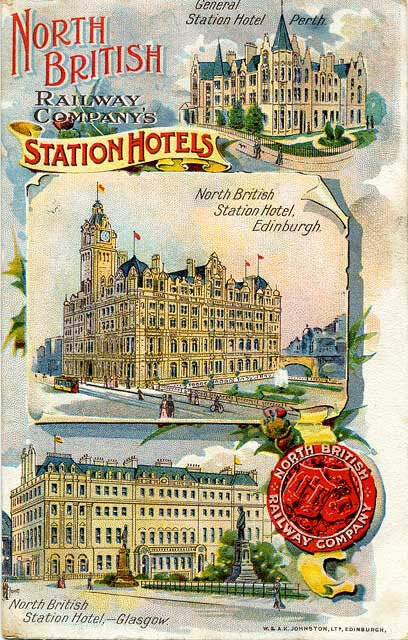 We are stopping at the North British Station Hotel. After a good dinner, Richard went for a walk and I am keeping up with the fire. 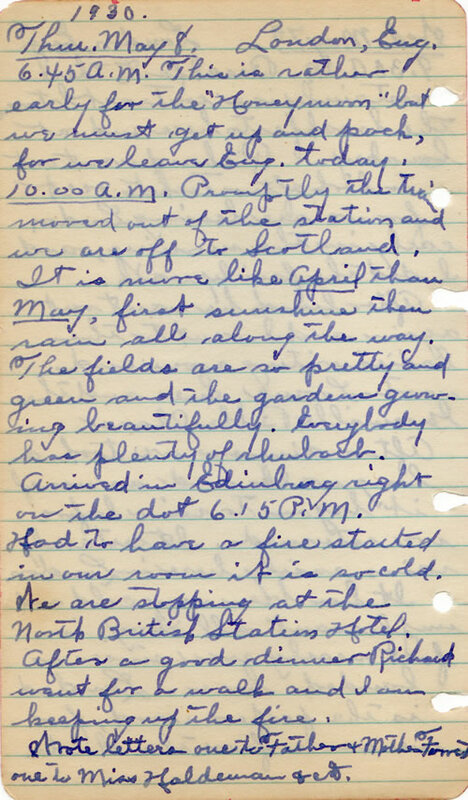 Wrote letters—one to father and mother Forrest and one to Miss Haldeman & etc.